Deacon Fred de Ru (Wasilla, AK), center, is serving as the Hurricane Florence Relief Site Coordinator in North Carolina. 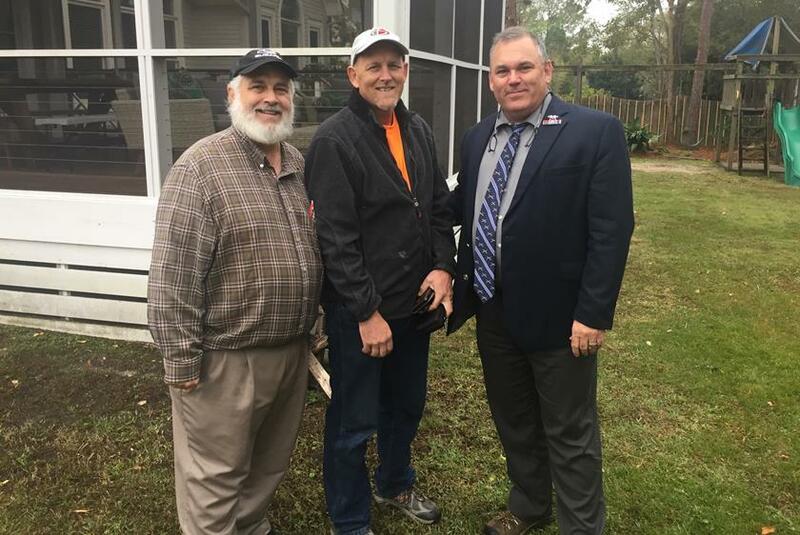 Here he is joined by Jim Flanagan of New Bern, NC, and Elder Mike Cloy of Gastonia, NC, who are also involved in the Hurricane Florence relief efforts. At its recent meeting, the Committee on Diaconal Ministries (CDM) deliberated over the shortage of volunteers coming forward to help with hurricane relief in North Carolina following Hurricane Florence. This issue of the Mercy Minute includes inspiring messages from deacons and others who have a lot to share from their experience as volunteers. What explicit expressions of Christ’s love can be conveyed in carpentry and clean-up? Past volunteers testify to the underestimated power of several elements of the volunteer work—some spoken, some unspoken. The first is simply and clearly conveyed just by arriving. It is hard to overstate the impact of a van full of strangers from 1,000 miles away pulling into your debris-littered driveway just to rip out your flooded sheetrock. The cup of cold water offered in the name of Christ is the essence of diaconal mercy ministry and is beloved and blessed by our Father. Watch for Scott's article, "A Christian Response to Disaster," in the January 2019 issue of New Horizons. The PDC of the Presbytery of the Southeast covered 1/3 of the costs for a team from Heritage OPC (Royston, GA) to travel to Puerto Rico this month. With the OPC's 50% contribution towards costs, the church ended up financing only the remaining 17% or so, which made it far less of a burden for a smaller congregation. Pastor Mike Myers led the Royston team, joined by David Chism and his team from New Hope OPC (Frederick, MD). 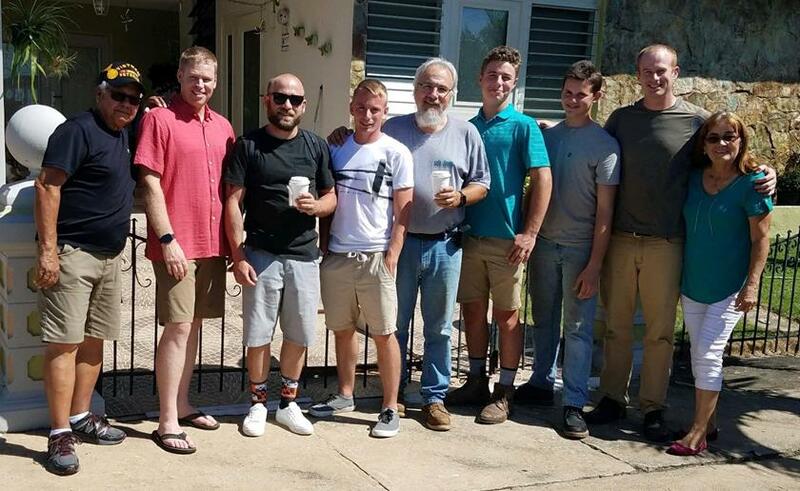 Their work in Puerto Rico centered on power-washing and waterproofing roofs, and rebuilding a deck and railing, for members of the OPC mission work in Arroyo, Puerto Rico, whose homes were damaged in last year's Hurricane Maria. The crisis intervention phase is long over. Our work in Puerto Rico was not so much "hurricane relief" as it was an effort of our churches to come alongside some of the saints there and serve them. We as a denomination are engaging in the continuing work of serving, loving, and encouraging the saints in Puerto Rico, a worthy effort in itself. 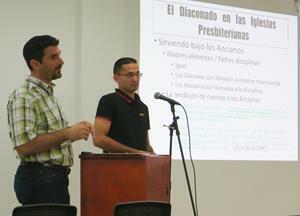 I found particular joy in knowing just how precious and rare Spanish speaking reformed churches are in this world. Serving them is a privilege. The food, and hospitality of everyone we’ve met so far, is just out of this world. Life in Southern Puerto Rico is so different than the States. It is much slower, and it is something that we Americans could all use at times! The team here is very united! We’ve only been here a few days and feel so connected with the folks we’ve met. God is at work in Puerto Rico! 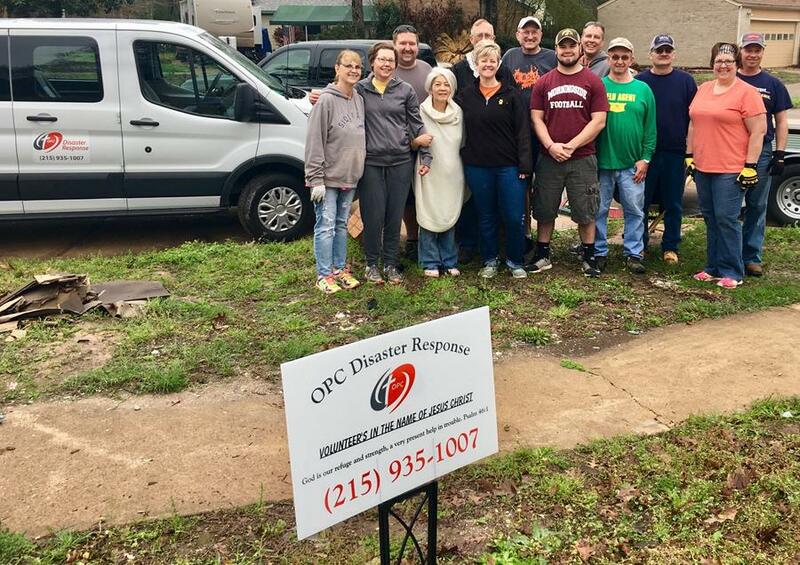 Deacon Bob Keys, Chairman of the PDC of the Presbytery of Ohio (POH), has been instrumental in mobilizing churches in his presbytery to get involved in disaster response. Bob helps to identify qualified leaders, helps to pull the teams together, and makes diaconal funds available to churches that send volunteers, if needed. 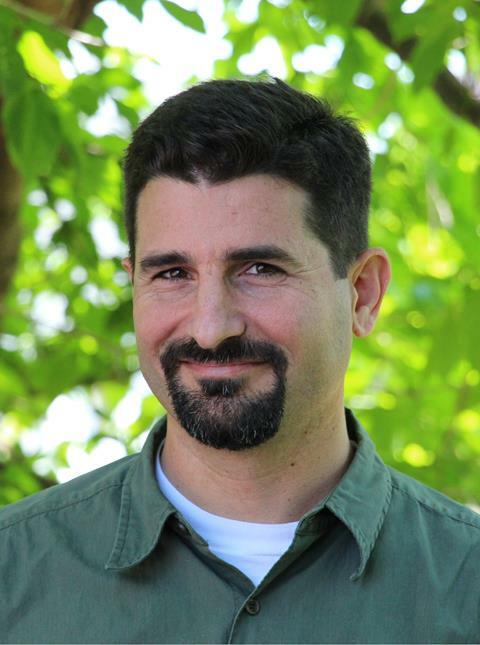 The team of six led by Matt Gertler, above, represents three churches in the POH and is currently serving in North Carolina. 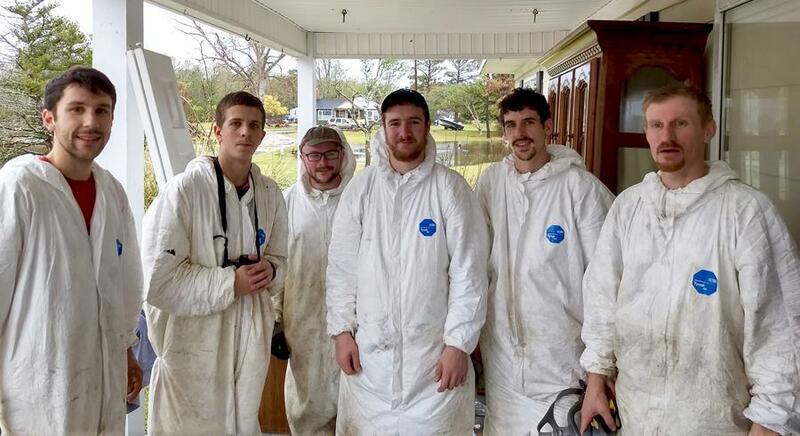 They are seen here in full body suits for tear-out of mold-infected walls in a home damaged by Hurricane Florence. Serving on a disaster relief team or short-term missions team is an opportunity to live out your faith by working at the intersection of the Great Commandment and the Great Commission. If you feel the Lord prompting you to help with a service project or disaster relief effort, stop thinking and start praying! 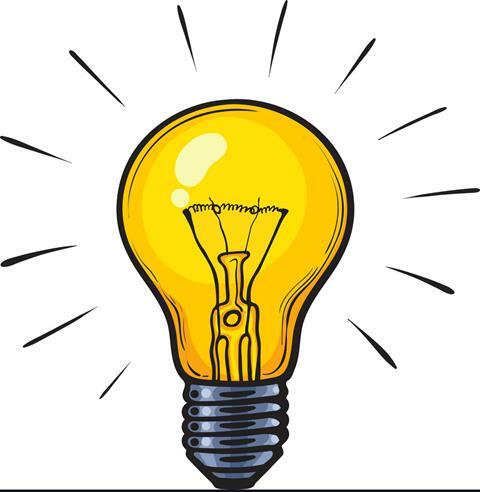 A willing spirit and open mind will enable wonderful engagements between you, your team members, and the homeowners or others you are going to serve. Deacon Jeff Davis Encourages You to Volunteer! Deacon Jeff Davis (Cedar OPC, Jenison, MI) served for many months as the Site Coordinator for Hurricane Harvey Relief in Houston. A video telling the story of OPC Disaster Response in Houston is in the process of being made. 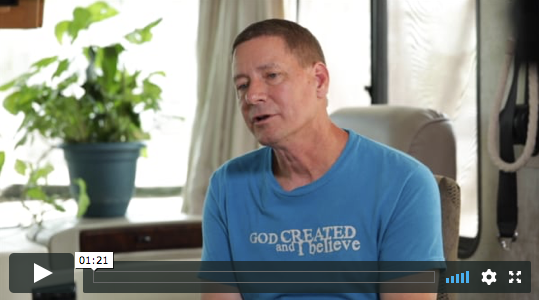 In this 1-minute clip, Jeff Davis reflects on diaconal volunteer service. It's a process not only of developing our skills, but also our confidence...that the Lord is going to provide for us. You're going to go back home with this thrill, you're going to love what you did and you're going to want to do more. The link below will take you to VIMEO.com to watch the 1-minute clip. Please come back after watching! 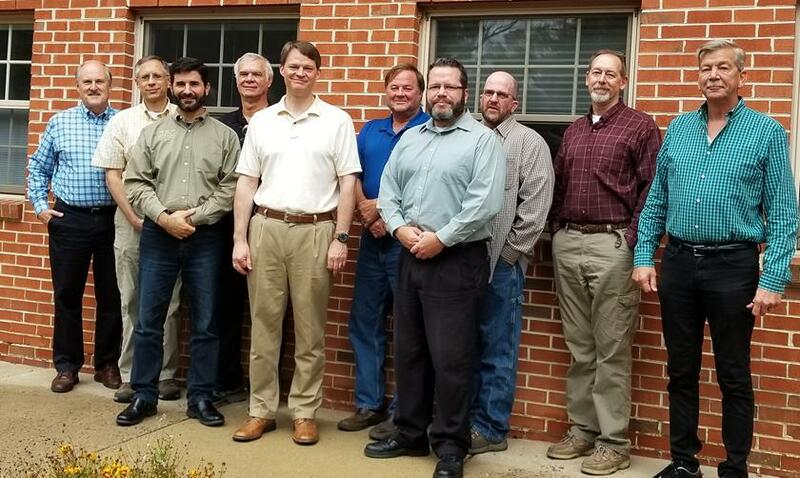 The fall meeting of the Committee on Diaconal Ministries took place November 1-2, 2018, at the OPC Administrative Offices in Willow Grove, PA.
Review and Reflection: In addition to receiving reports from each subcommittee and attending to the regular meeting agenda, the CDM was able to take time to review and reflect on the past decade and start making plans for the next decade. The spring meeting of the Committee on Diaconal Ministries is scheduled for March 28-29, 2018, at Matthews OPC (Matthews, NC). Please pray for your committee in its many labors! 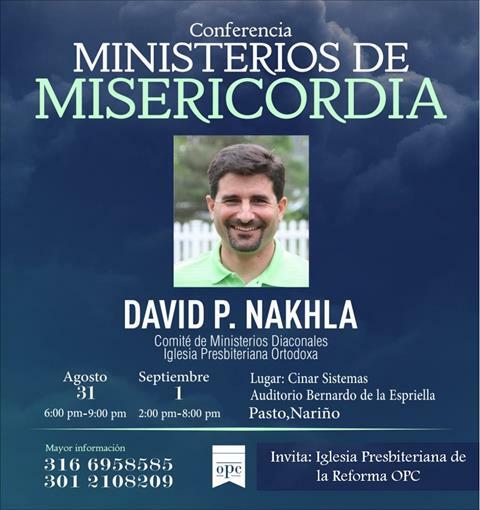 In August, I was privileged to give a series of lectures on the diaconate, titled, "Ministry of Mercy," in the cities of Cartagena and Pasto, Colombia. 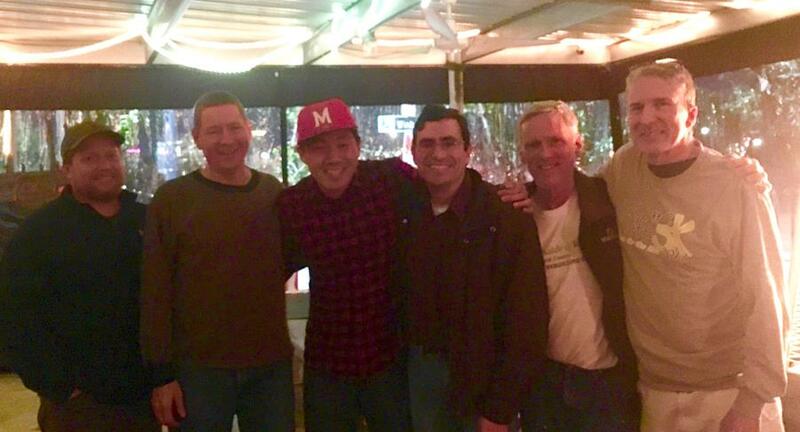 This was part of the Committee on Foreign Missions (CFM) Mobile Theological Mentoring Corps (MTMC) for churches in foreign countries where we don’t have a full-time missionary, but want to encourage the church there in its pursuit to become Presbyterian and Reformed. I traveled with Rev. Douglas Clawson, CFM Associate General Secretary, who has visited and taught in Colombia many times. It was a delight to witness the affection between him and the church members there. It was a blessing to witness what the Lord is doing in Colombia! As an elder, I was able to participate in serving the Lord's Supper at one church. Douglas and I were also able to visit the National Aviary of Colombia in Cartagena (a few photos, below). 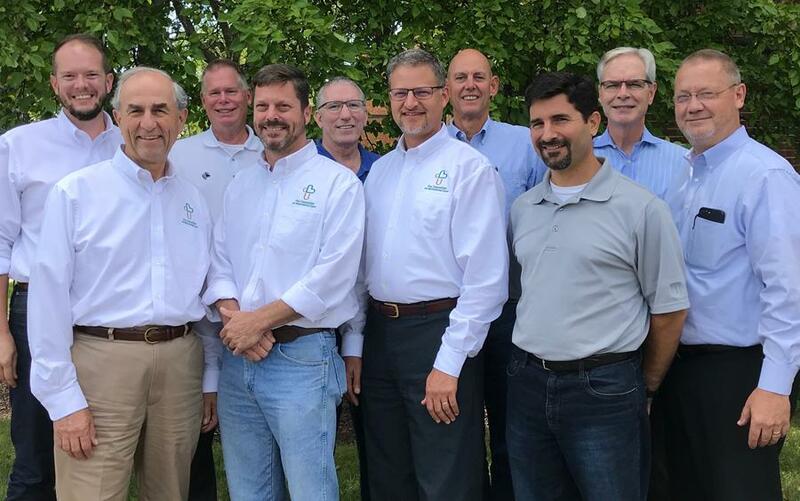 The diaconal care of ministers, including the administration of the Obadiah Fund for retired ministers and widows, formerly under the jurisdiction of the CDM, has been transferred to the OPC's new Committee on Ministerial Care (CMC). 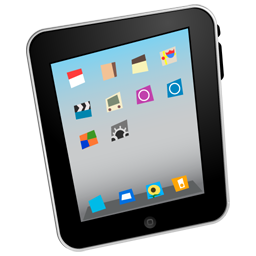 Deacons who wish to request financial assistance for retired ministers or their widows should now click "Download Assistance Request Form" at the CMC page at OPC.org. Please post at your church and share with your church officers. This summit is designed for members of Presbytery Diaconal Committees (PDC). Each presbytery is encouraged to send four representatives from its PDC. All travel and summit expenses are covered by the CDM for each attendee. The summit will be held in the Chicago area (Geneva, IL) in 2019. Do you want to hold a Diaconal Conference in your presbytery? 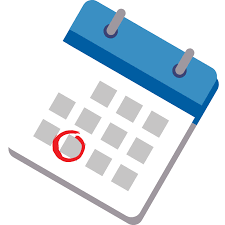 The CDM is available to provide guidance and funding to Presbytery Diaconal Committees that wish to hold a conference for the deacons in their presbytery. Contact David Nakhla for further information. The OPC Deacons Facebook Page is open only to OPC Officers in order to ensure privacy and facilitate discussion among deacons. Visit the page and submit your request to join! 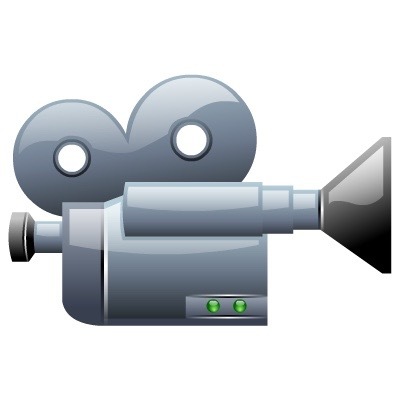 There are currently 20 videos available for use for diaconal training and encouragement at the OPC Diaconal Ministries page at Vimeo.com. Check it out! 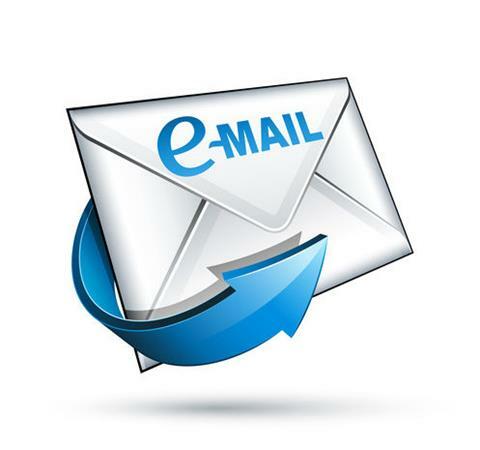 Forward this Mercy Minute to your fellow deacons in case they are not on our email list! Archived issues of the Mercy Minute can be found at OPC.org. Click here and scroll down. 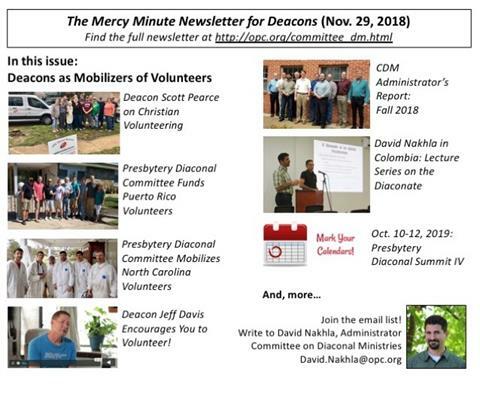 The Mercy Minute, a quarterly newsletter of the Committee on Diaconal Ministries, is intended to keep OPC deacons informed and encouraged in their labors. It may include opportunities for networking or training, describe the work that a local diaconate or presbytery diaconal committee is engaged in, or bring attention to a need in the OPC. The Mercy Minute is sent to all OPC officers with whom the CDM has had contact, in hopes that it will be forwarded on to more deacons. The Mercy Minute is sent to all OPC officers with whom the CDM has had contact, in hopes that it will be forwarded on to additional deacons.